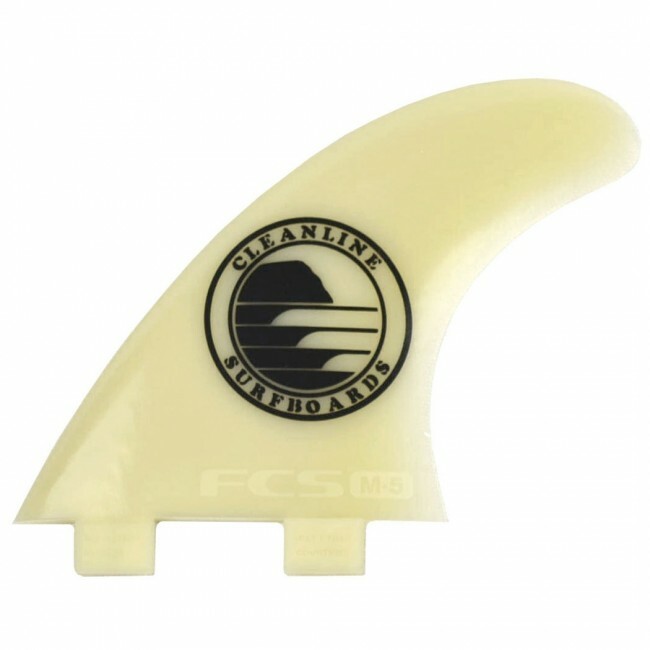 Hard driving and smooth carves come naturally with the FCS M5 Cleanline GF Tri Fins. 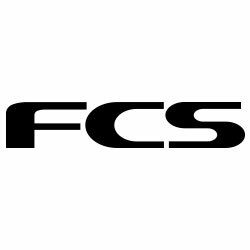 The M-Series has a flexible tip for forgiveness and control at high speed. The Inside Foil Technology offers superior drive and hold. 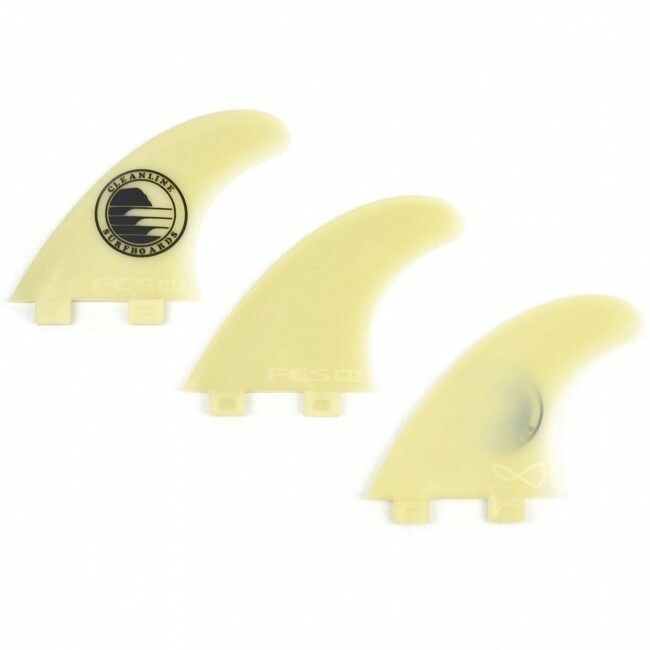 Glass Flex construction offers the flex pattern of a hand-foiled fiberglass fin combined with the ability to mold highly technical computer generated foils accurately, meaning your fins are precision dialed. 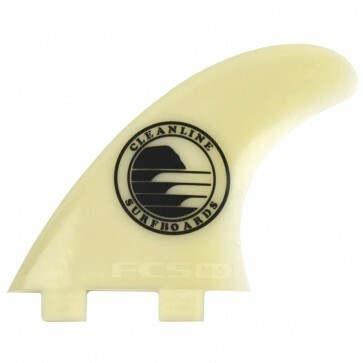 Tagged with our Cleanline rock logo and ready for action, these limited edition M5 Fins are begging to get wet.